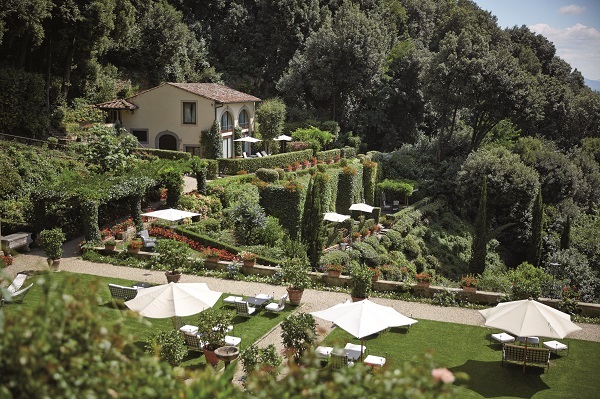 Belmond Villa San Michele, located in Fiesole, is just a dreamy place to celebrate your wedding or your honeymoon. 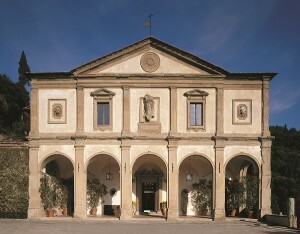 It is a former 15th century monastery with a façade of Michelangelo, situated among the hills above Florence. Far from the historic city in less than 15 minutes, once you reach the location on the hilltop you are immersed in greenery and confronted with breath-taking Tuscan views: the vineyard-clad hills of Chianti, the Arno Valley, and the iconic cupola of Florence’s cathedral. The hotel is rich in exquisite architectural features and surrounded by stunning gardens. Each space and room has an artistic flavour. 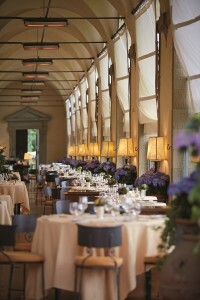 The atmosphere is intimate and each of the 45 rooms, some with private terraces, offers a unique view. 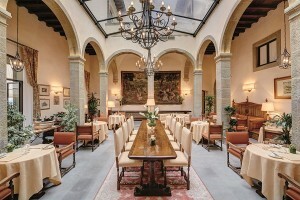 The Limonaia Suite, built as the monks’ orangery, now has been converted into a Tuscan villa with gorgeous gardens and a private heated plunge pool. Stretching across the entire entrance façade, the palatial Michelangelo Suite is ideal for families. There are many options in terms of spaces in Belmond Villa San Michele to celebrate your wedding, each of them offering a specific mood. Their expert team will advise you how to customize your special day with some activities to please the guests, including the little ones.